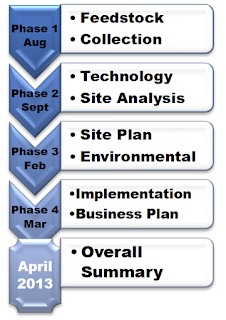 A public meeting on February 27, 2012 provided an update on the biodigester feasibility study due for completion this month. The Ventura County Watershed Protection District (District), at the request of the Ventura River Watershed Council and in cooperation with local community organizations, served as the project manager of a State grant-funded feasibility study exploring an innovative solution. The concept includes using the horse waste to create energy and a useful soil amendment byproduct by means of a “Bio-Digester”. 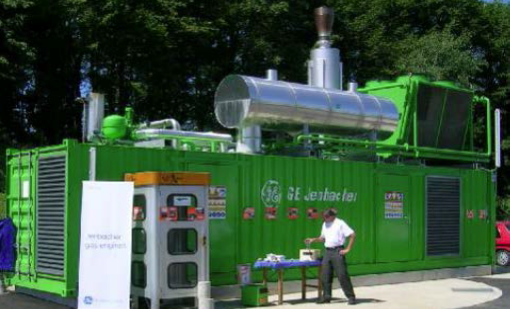 A “Bio-Digester” uses a series of processes in which microorganisms break down biodegradable material in the absence of oxygen; also known as anaerobic digestion. This process results in a digested material that can be used for farming and biogas that can be converted to energy. This approach provides benefits beyond removing contaminants from the watershed – including reducing greenhouse gas emissions, creating a local sustainable energy source, and reducing the amount of organic materials hauled to landfills. The "Big Ventura River Cleanup" was featured at this weekend's fourth annual Wild and Scenic Film Festival sponsored by the Ventura Hillsides Conservancy. The film was produced by CAPS community television and is currently showing on CAPS cable TV in Ventura. The Big Ventura River Cleanup is evidence that our local Watershed Revolution is underway! 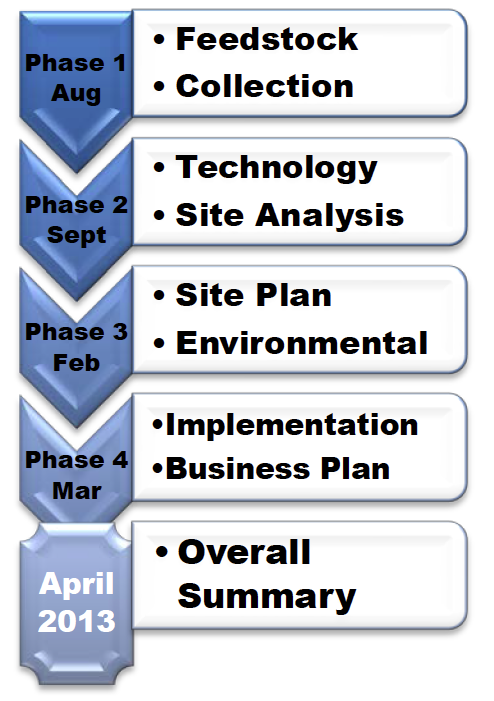 According to a recent article in the VC Reporter, the EPA-ordered cleanup of the Petrochem site on Highway 33 is due for completion by February 28, 2013. 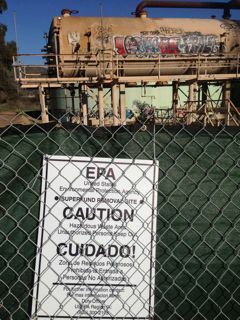 The abandoned oil refinery is a familiar site to anyone driving between Ojai and Ventura, and has always been one of the big questions for those interested in the health of the Ventura River. Shell Oil operated it as a urea plant prior to it being converted to the USA Petroleum oil refinery. 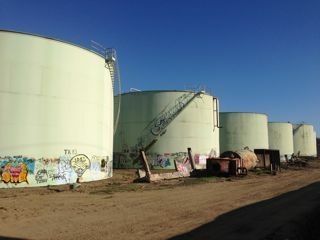 According to the article two above-ground storage tanks contained a total of 2,500 barrels of crude oil; six other storage tanks contained a total of 4,800 barrels of fuel oil, oily substances and refinery chemicals. 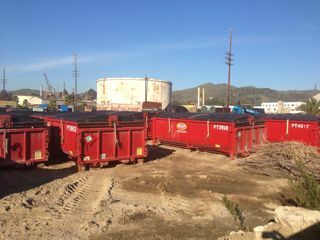 All contaminated material, soil, drainages, and equipment were to be removed from the site, except refinery equipment designated for resale. The big question is what will become of the site once it has been cleaned up. There have been many proposals for development over the past two decades, ranging from dense housing development to eco-industrial parks. 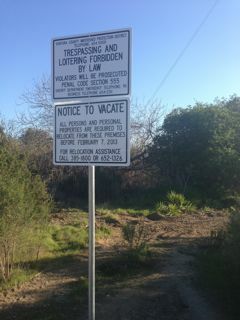 The City of Ventura investigated the potential for annexing the entire upper Ventura Avenue area and Canada Larga, all of which is currently under Ventura County jurisdiction. 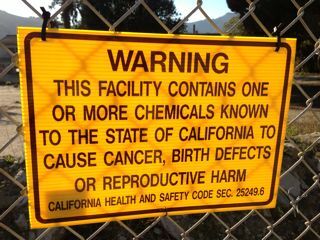 Of particular concern is the fact that Petrochem is situated within the 100-year floodplain of the Ventura River as well as being vulnerable to flooding from Canada Larga creek.